Gold prices are continuing to edge up. 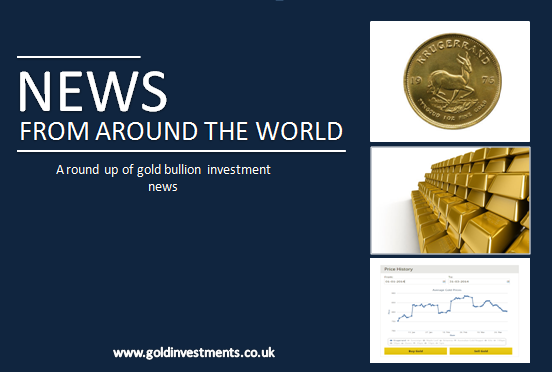 In London on Thursday 4th February, the precious metal nudged up to a three-month high in a possible response to global economic headwinds. Many investors are feeling nervous over China’s slowing economy and low oil prices. The December US interest rate rise may also be having some bearing on investor confidence. Spot gold touched at $1,147.40 an ounce. This is its highest point since October. See live gold prices here. The level of gold imports in India has led to their Government introducing a rule forcing high-value buyers to disclose their personal tax number. The aim of the measure is to make it harder to buy gold and to track down people hiding their wealth. For purchases above 200,000 Indian rupees ($2,948.44), it is now mandatory for customers in the country to disclose their tax code or Permanent Account Number. A large number of jewellery stores that reportedly engage in the illegal trade of Syrian gold coins have appeared in a western Turkish neighbourhood that once hit headlines for being a hub for migrants seeking to reach Europe via the Aegean Sea. Jewellery stores selling illegal Syrian gold coins are appearing in the Western Turkish neighbourhood of Basmane in the province of Izmir. Buying gold coins is against the law in Turkey. Basmane has become known recently as the hub for migrants seeking to reach European shores. To pay human traffickers for boat journeys, Syrians reportedly sell gold coins to these jewellery traders. Sixty gold bars worth around Tk 30 million have been discovered under a passenger seat on an aircraft at Dhaka Shahjalal International Airport, Qatar. The bars weigh six kilograms. A Customs official said they were still trying to find those involved with the smuggling.